There are three species of peafowl, green peafowl (Pavo muticus), Indian peafowl (Pavo cristatus) and Congo peafowl (Afropavo congensis). Green peafowl are considered endangered peacocks. The only endangered peafowl species in the world. The IUCN Red List of Threatened Species categorised Green peafowl as an “endangered species” in 2008. The population was confirmed in 2012 and again in 2016. This status is a result of the Green Peafowl’s extremely swift drop in population. The population of adult green peafowl is believed to be between 10,000 and 19,999 specimens. There are smaller regional populations of Green Peafowl in western and northern Thailand and southern Laos. They are also found in Annam in Vietnam, Yunnan in China and on Java in Indonesia. In India, individuals are occasionally encountered in Manipur. The Green Peafowl may be extinct elsewhere in north-east India and Bangladesh. Green Peafowl are extinct in Malaysia and peninsular Thailand. During the 20th century the population of Green Peafowl declined dramatically, leading to regional contraction and local extinction. The cause of this decline is disturbance of habitat by humans. The good news is that in areas where habitat is protected the Green Peafowl population is effectively managed and stable. The population estimate for Green Peafowl of 5,000-10,000 individuals which was estimated in 1995 has been revised to 10,000-19,999 mature individuals. If young peafowl are counted the population is thought to be between 15,000 and 30,000 birds. 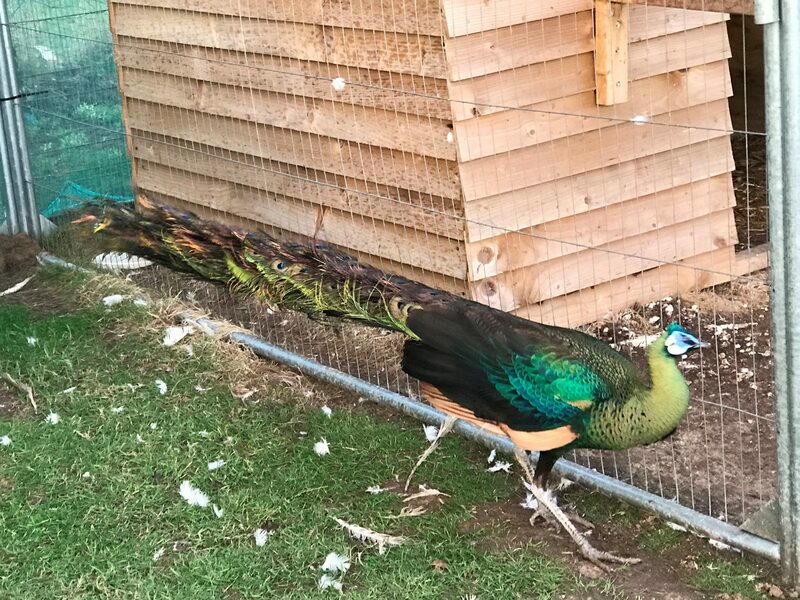 Green Peafowl have become endangered peacocks by humans continually hunting for meat and feathers. Also the collection of eggs and chicks has endangered peacocks. This is combined with habitat changes and human disturbance and has caused a catastrophic fall in numbers throughout much of the Green Peafowl’s range. As a result of fragmentation of habitat many small populations have become isolated, This has increased their chance of local extinction. Research has found that selective logging appears to have no bad effects on peafowl areas of habitat and population. Farmers in China and Thailand consider the Green Peafowl as a crop-pest and consequently poison them. Humans are the greatest threat to the Green Peafowl through activities such as hunting and loss of habitat. The IUCN Red List of Threatened Species states that the Indian Blue Peafowl is of least concern and not endangered. The population of Indian Blue peafowl is considered stable, as a result the quantities of Indian Blue Peafowl have not been quantified. Breeding pairs of Indian Blue Peafowl were introduced into Taiwan and Japan. In 2016 the Indian Blue Peafowl was reassessed and as a result continues to be categorised as a bird of least concern.